After much trial and error, I determined that both sticks of the new RAM was good via running MemTest for a few hours, and that my computer would boot with 6GB (1x2GB + 1x4GB), but still not 8GB. A little research online led me to the conclusion that there is a bug with this model where the MacBook doesn’t downclock the faster RAM to its maximum 1066MHz speed. 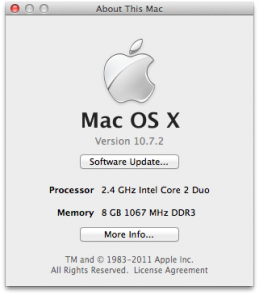 Instead, the Mac tries to match the RAM’s speed and run its bus at 1333MHz – effectively crashing itself during the bootup process. The remedy for this situation is either to buy new RAM that is max 1066MHz in speed or flash one of your new sticks of RAM to operate at 1066MHz max by default. I being too lazy to drive back to the store, I opted for the latter route and discovered a program called Thaiphoon Burner that seemed like it would do the trick. The only caveat to this method is that the program is Windows-only. This should be no problem for you if you already have a working bootcamp installation or are willing to set one up real quick. However, if you’re like me, you’re hard drive space is much too precious so bootcamp wasn’t an option. 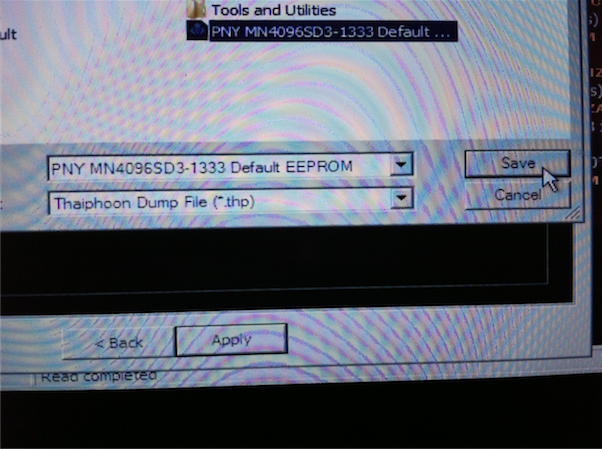 In order to get around having to setup a bootcamp install, I decided to use a pre-installed bootable Windows enviornment and use Thaiphoon Burner when booting off the CD to update my RAM’s EEPROM. 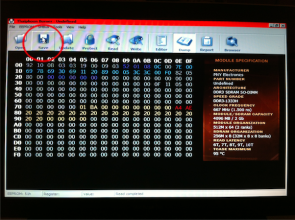 If you don’t already have a pre-installed Windows environment, you can create one using Bart’s PE. Please note that I have not created one in years, so I can be of no help for creating the actual bootable Windows disc. Please refer to their website for any instructions and questions you may have. Once you have your bootable pre-installed Windows Environment burned to a disc, the rest of the procedure is quite simple. First, replace one of the stock 2GB sticks of RAM with one of your new 4GB sticks. This should get you 6GB of RAM total and your computer should still boot to Mac OSX. 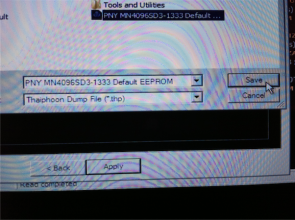 Before booting off your Windows disc, make sure to copy Thaiphoon Burner to a flash drive and unzip it so that you’ll be able run it later. After you’ve copied it, shutdown your computer. Now boot to your Windows disc by holding down the “Option/Alt” key on the keyboard and after pressing the power button on your machine. 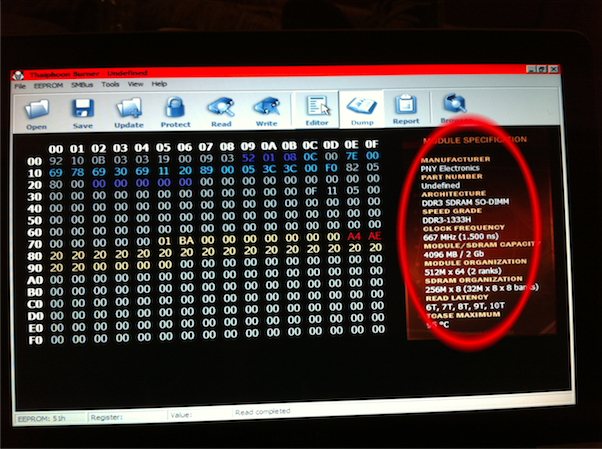 Once you see a mouse cursor, you can let go of the “Option” key and insert your bootable Windows disc. 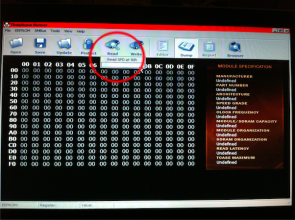 After about 20 seconds, you should see your disc pop up next to your Mac’s hard drive. Go ahead and select it and hit “Enter”. Your Mac will now boot to your pre-installed Windows environment. 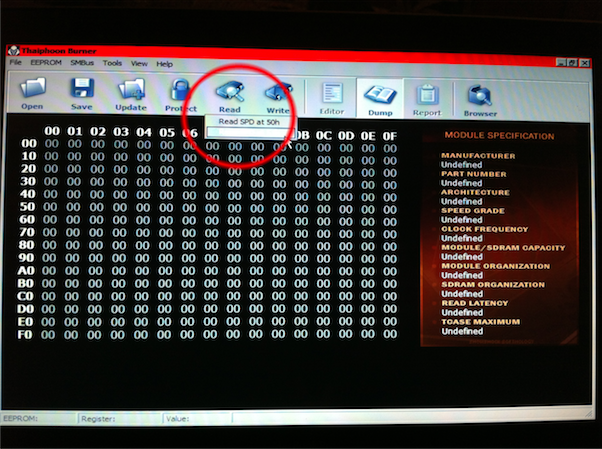 Once inside your Windows environment, navigate to your flash drive, and run Thaiphoon Burner. After registration, you’ll be presented with an empty window. Click “Load” and select a RAM slot. 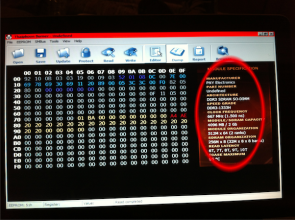 This will populate the HEX editor and also display some information on the right-hand side. Verify that you have the correct 1333MHz stick that you wish to reflash by looking at the brand and specs. If it’s not the correct stick, just click “Load” again and choose the other RAM slot. After you have verified that you’ve loaded the correct stick, go ahead and click “Save” and save a copy of your RAM’s default profile to your flash drive. Make sure to put it in a safe place in case you ever want to reflash your RAM back to its faster native speed. 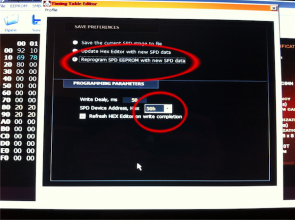 After you’ve saved a copy of your RAM’s default profile, it’s time to edit the existing profile and reflash it! 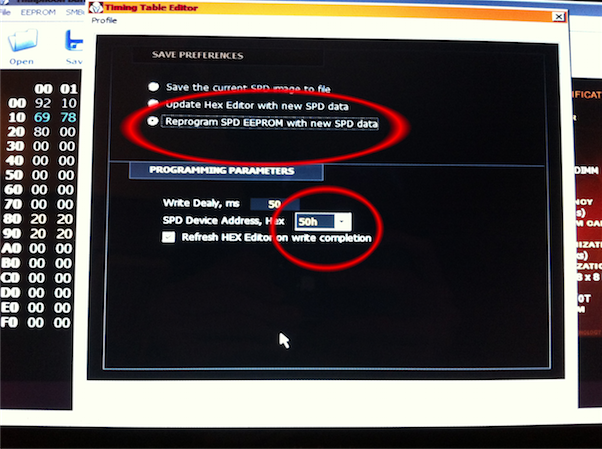 Click “Edit” and then change the “Min SDRAM Cycle Time” from 12 to 15. 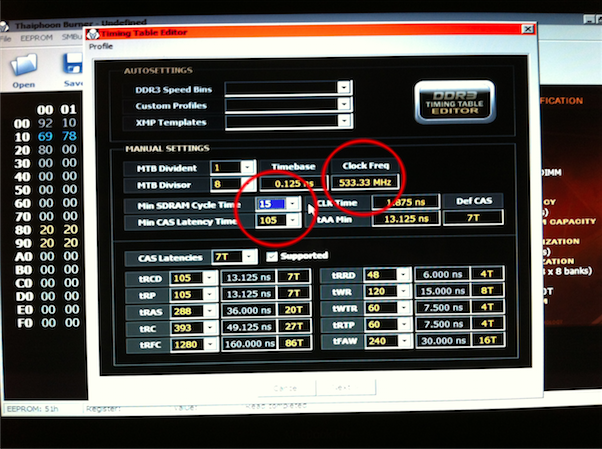 Note that you’ll see the frequency change from 666MHz to 533MHz (1333MHz to 1066MHz) which is exactly what we want. Click Next. 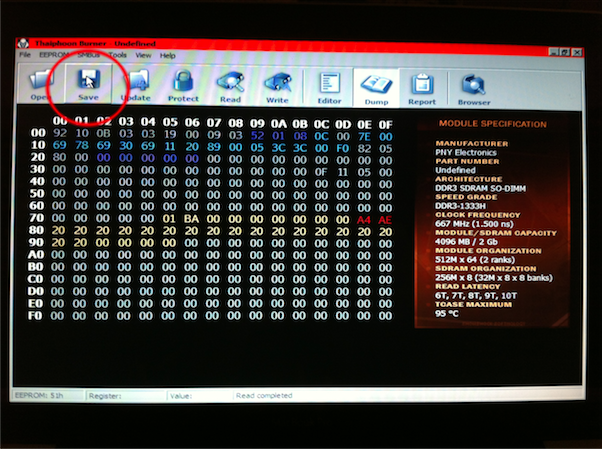 At the next screen, change the Save Preferences to “Reprogram SPD EEPROM with new SPD data” and then verify that the correct RAM slot is selected. This is very important, you wouldn’t want to reflash the wrong stick of RAM with the wrong data! After verification, click Next and your RAM will be reflashed and the screen refreshed. 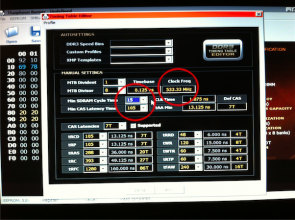 From there, you can verify that it now runs at 533MHz via the information on the right-hand size. After that, simply power down your virtual machine, eject your bootable Windows disc and flash drive, and install both 4GB sticks of RAM into your MacBook. The stick you just reflashed to 1066MHz will cause the remaining faster 1333MHz stick to downclock to 1066MHz as well and your Mac will boot right up without freezing!